Conscious Capitalism of Central Maryland follows up the exclusive webinar with Scaling Leadership authors Bob Anderson and William Adams in February with a morning book club discussion. Grab your copy and plan to have a great discussion over coffee. Scaling Leadership: Building Organizational Capability and Capacity to Create Outcomes that Matter Most is available on Amazon, Barnes & Noble and other booksellers! Join the Conscious Capitalism of Central Maryland (C3MD) for the Scaling Leadership Book Launch webinar plus networking/discussion at the Maryland Center for Entrepreneurship (MCE). Or, view this exclusive presentation in the comfort of your home or office. This is an exclusive webinar featuring Founder & Chair Bob Anderson and CEO William Adams of The Leadership Circle and Full Circle Group, about their new book: Scaling Leadership: Building Organizational Capability and Capacity to Create Outcomes that Matter Most. This is a unique opportunity to hear directly from these conscious leadership pace setters! 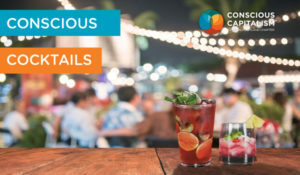 This event is free if you register for the webinar only; if you’d like to join us at the MCE for the webinar, happy hour and group discussion, C3MD members are free, and all others pay $20. Become a member today! Your registration includes beverages and hors d’oeuvres. BONUS: Anyone who comes in person will be entered to win a copy of Scaling Leadership book by Bob Anderson and Bill Adams! 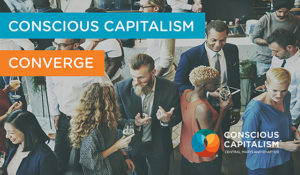 Join us for an evening of networking and opportunities to learn about Conscious Capitalism with the Conscious Capitalism Chapter of Central Maryland (C3MD). If you are new to C3MD or a practicing proponent of Conscious Capitalism, you are welcome! Conscious businesses have conscious leaders who are driven by service to the company’s purpose, all the people the business touches and the planet we all share together. Conscious businesses have trusting, authentic, innovative and caring cultures that make working there a source of both personal growth and professional fulfillment. Come join us as we use the power of story and continue to deepen the ecosystem of authentic stories that define our conscious businesses and that will connect our stakeholders to our purpose, our culture and our leadership. Registration includes drinks and hors d’oeuvres. We hope to see you there! Tickets are available now. Inspired by Ignite? Join C3MD for Ignite Afterglow at the Maryland Center for Entrepreneurship on December 3rd. Come network, share your thoughts about the event, learn about Conscious Capitalism, and perhaps, begin developing your own Ignite Talk! C3MD is a purpose-driven business community that promotes the power of capitalism to create positive change, do good, and elevate humanity. We inspire and equip individuals and organizations to embrace and implement conscious business principles through collaboration, educational programs, practical tools, and strategic partnerships. Ignite Howard County is a high-energy evening where the community comes together to share their passions! The goal is to create collisions of conversations & collaborations between people in our artistic, entrepreneurial, creative, technical and innovative communities. Speakers will teach us something, enlighten us or simply inspire. We hope to see you there! Learn more about this great event below and join the conversation #IgniteHoCo. We are looking forward to hosting a planning meeting on June 11 at the Maryland Center for Entreprenuership. Our goal is to solidify the events and meetings for Conscious Capitalism of Central Maryland for the next year. It will be a working meeting to gather the ideas and to create an execution plan for that generate the most interest. Then we will evaluate these plans and choose what we will do for next year. While this event is free, we do ask that you register here and bring a small snack to share! We hope you will join us! Please register below! Beth has committed to local efforts focused on reducing the stigma associated with alcoholism, addiction, and mental illness and providing greater access to treatment resources. Come network with us, meet Beth and sample some of her creations. We’ll be outside in the backyard of insight180 – weather permitting – just up Merryman Street. President of 1 of the ONE, LLC. This month’s speaker is Kelly Hurley, a 16+ year C-level business executive. In addition to her business experience, Kelly is a certified strengths-based workplace facilitator, focusing on conscious business. For C3MD’s April meeting, Kelly will be discussing conscious leadership attributes, strengths, the inner work of a great leader and more. Please register below. We’ll see you there! The founder and CEO of Empowered Living, LLC, a Life Design and Personal Development company. March’s meeting is all about culture. The Power of Creating a Conscious Culture & Why it Matters, featuring Julie Reisler. The impact of adding consciousness to company culture pays dividends in overall employee engagement, attention, productivity, innovation, creativity, happiness, and success. We will look at various ways to add consciousness through mindfulness practices, giving opportunities and appreciative inquiry. This month’s “Converge” will be highly interactive. Julie Reisler is the founder and CEO of Empowered Living, LLC, a Life Design and Personal Development company. 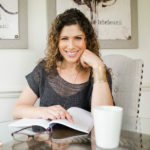 Julie has a master’s degree in health & wellness coaching, is the author of “Get a Ph.D. in YOU,” is on the faculty at Georgetown University in their coaching program, is a speaker and host of the podcast, The You-est You. 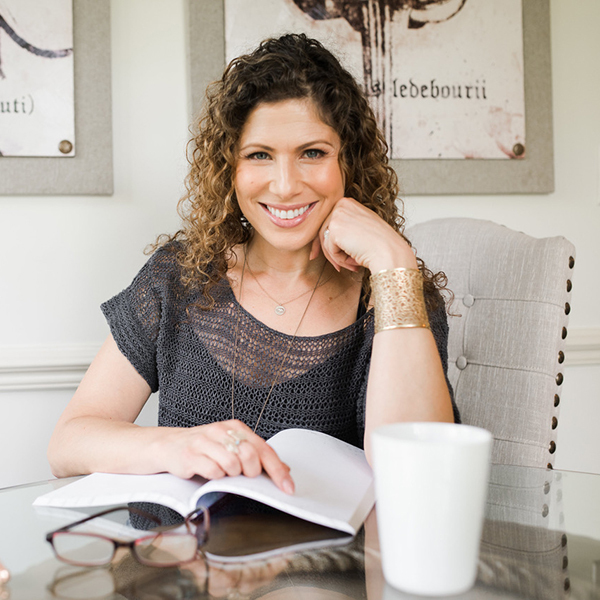 Julie’s aim is to help elevate consciousness in all areas of her business and life. This month’s speaker is Allison Jessing, the Events and Seminars Manager at Howard County Library System. She will be discussing HCLS’ Choose Civility initiative and the ongoing campaign to build community through open dialogue and the exchange of empathy. She will also talk about HCLS’ experience of producing successful collaborative community events such as the Human Library and The Longest Table. 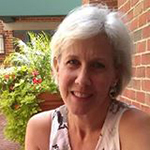 Presenter Allison Jessing joined Howard County Library System as the Events and Seminars Manager in 2015. Previously, Allison was an interpretive educator at the Smithsonian Institution for nine years where she developed collections-inspired engagement and education opportunities. This month’s speaker is Meghan Ogilvie, CEO of Dog Tag Inc. , an organization whose purpose and business model embraces conscious business principles, helps build a bridge to bring business employment and a productive civilian life for returning veterans with disabilities and caregivers that have served our country so well, through a small business venture, Dog Tag Bakery. Dog Tag, Inc. was recently featured in Times Square on New Years Eve and you can get an inside peek into how they are #bakingadifference here. Presenter Meghan Ogilvie is the CEO of Dog Tag, Inc., and is focused on scaling Dog Tag Inc., a nonprofit based in Washington, D.C. that empowers veterans with service-connected disabilities, military spouses, and caregivers through a five-month Fellowship Program that fosters the entrepreneurial mindset within a small business, Dog Tag Bakery. Great coffee or good beer. Quick-hit presentation about something fascinating. This month’s topic, just in time for the holidays, is Mindfulness. Explore strategies that increase emotional intelligence. Many top-performing CEOs and Senior Executives have found meditation to be key to resilience, creative thinking, and focus. Pause, reflect, breathe – and embrace mindfulness and meditation to promote a stronger mind-body connection, boost creative thinking, and reduce stress. Presenter Julie Reisler supports organizations to cultivate employees with successful mindsets, encourage intentional leadership, apply mindfulness in the workplace, and explore strategies that increase emotional intelligence. Event is free, but please register below. We’ll see you there! Executive and Leadership Coach, Facilitator and Speaker; Executive Director, Conscious Capitalism of Central Maryland. Join Conscious Capitalism of Central Maryland as we explore the pillar of Conscious Leadership. Is your leadership effective in these times of increasing volatility, uncertainty, complexity and ambiguity? How can leaders increase their own complexity? The outer game of leadership is focused on processes such as the effective allocation of resources: people, time and money. In addition, the Leadership Circle has done research that has identified competencies that are strongly correlated with effective leadership. Learn what is possible when you shift the inner game of leadership. Discover the tool that can help you uncover what drives the leader, how they define themselves, what is important to them and what they believe. 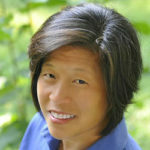 Wendy Moomaw is a software engineer and business leader, an embodied athlete, an adventurer, and a community-igniter. Wendy coaches leaders and their teams by integrating tools across the coaching and facilitation spectrum including emotional intelligence, team coaching and facilitation modalities, somatic sensing, and the interplay of energy dynamics. She is certified as an ICF ACC Coach and in the Leadership Circle Profile and Culture Survey, Hogan Assessments, and the Team Dialogue Indicator. She earned her Leadership Coaching and Facilitation Certificates from Georgetown University, her MBA/MS Finance from the Smith Business School at the University of Maryland and her BSCIS in Software Engineering from The Ohio State University. An interactive session on Stakeholder Orientation with Onyemaechi Nweke, DrPH. 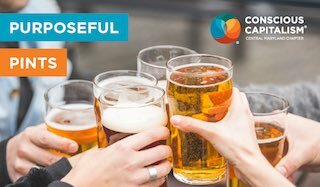 Purposeful Pints is an opportunity for us to come together to share how we’re each bringing Conscious Capitalism into our work and dive into some of the main Pillars of the Conscious Capitalism philosophy! Please join the Facebook events to us know that you’ll be there and help to spread the word.